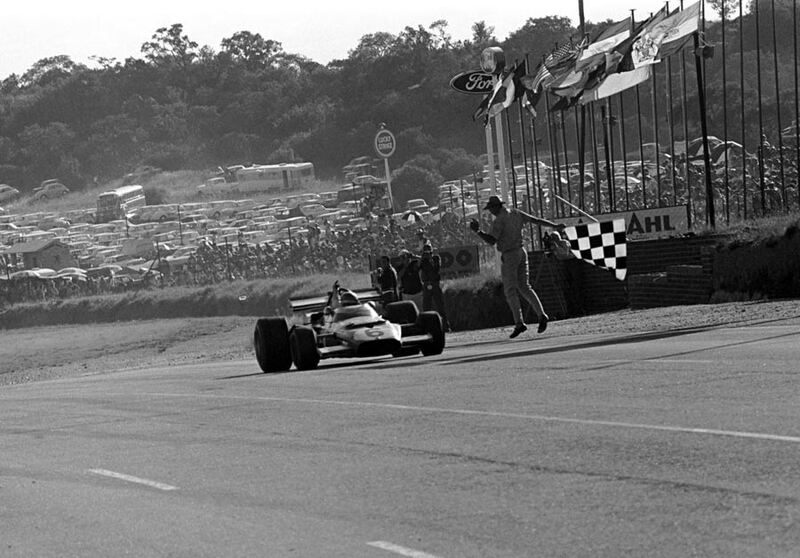 Mario Andretti won the opening race of 1971 as his Ferrari scored victory at Kyalami in South Africa. Andretti started on row two as the Tyrrell of Jackie Stewart took pole position ahead of Chris Amon (Matra) and Clay Regazzoni's Ferrari. Andretti shared row two with the Lotus 72 of Emerson Fittipaldi. Regazzoni made the best start to lead Fittipaldi away from the line with Jacky Ickx (Ferrari) slotting into third place chased by Denny Hulme's McLaren and the BRM of Pedro Rodriguez. Andretti didn't get away well and was sixth ahead of an equally slow-starting Jackie Stewart. The worst start of all came from Amon who was down in 14th position in the Matra. Hulme moved up to second place and on lap 17 he took the lead and stayed in front until lap 76 of 79. Then, with victory in his grasp, Hulme slowed with a suspension problem and he had to pit to have the damage attended to. Behind Hulme, Regazzoni had run in second place but lost a place to John Surtees (Surtees) and then Andretti also moved his Ferrari ahead. Andretti overtook Surtees and moved up to second place which became the lead when Hulme pitted. Andretti stayed ahead of the field to claim his first Grand Prix win with Stewart second ahead of Regazzoni's Ferrari. The Lotus of Swedish driver Reine Wissell was fourth ahead of Amon and the unlucky Hulme down in sixth place.